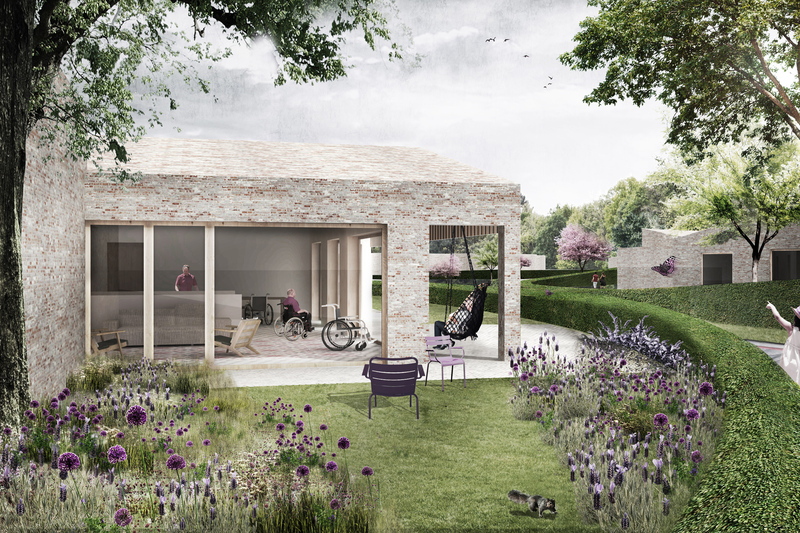 The Service Center Zevenbergen in Ranst provides residential support and counselling to 230 people with severe to profound intellectual disabilities, often combined with physical and medical disabilities and/or behavioural problems. The residents live and work in a green area of 13 hectares. Current homes do no longer meet present physical requirements and are based on a very institutionalised living concept. We have been asked to redesign the new livings for 162 residents in phases. 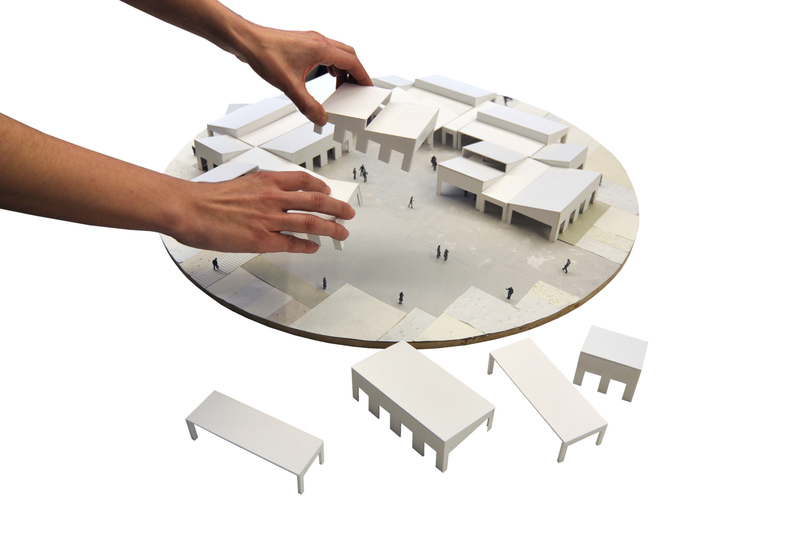 The masterplan has a strong landscape design and forms the basis for a pleasant site. 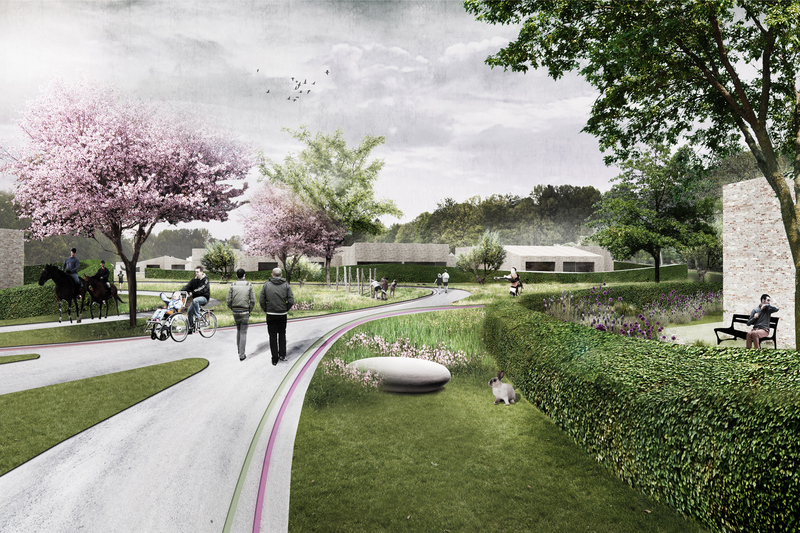 A functional path on the edge of the site ensures the optimal operation of the various “villages” within the landscape to motorized traffic. The intricate structure paths through the park allows smooth movements for walking and cycling. A hedge structure is the basis to create pleasant protected living environments. The residential areas are based on clusters. 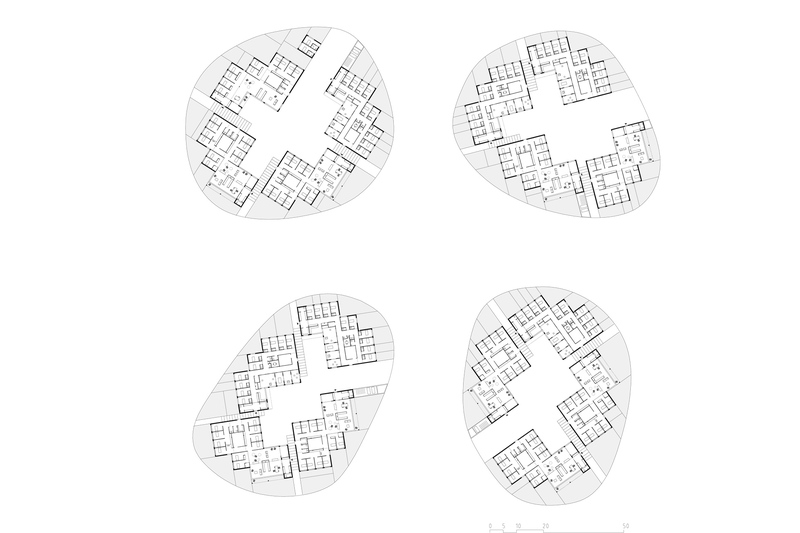 Each home accommodates eight to ten rooms and a cluster contains four houses around a common courtyard. The cluster is a village within the town of Zevenbergen DVC. 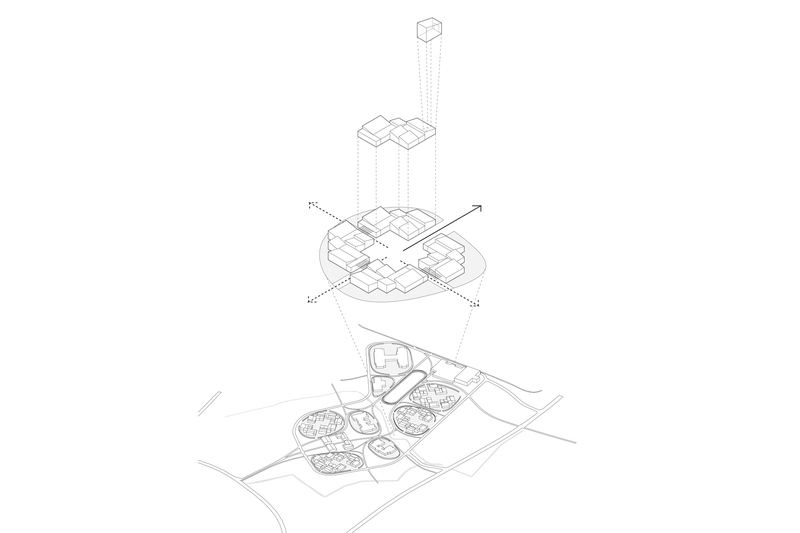 The cluster is designed from the outside and from within. From the outside the cluster is defined by the hedge that delimits the cluster. 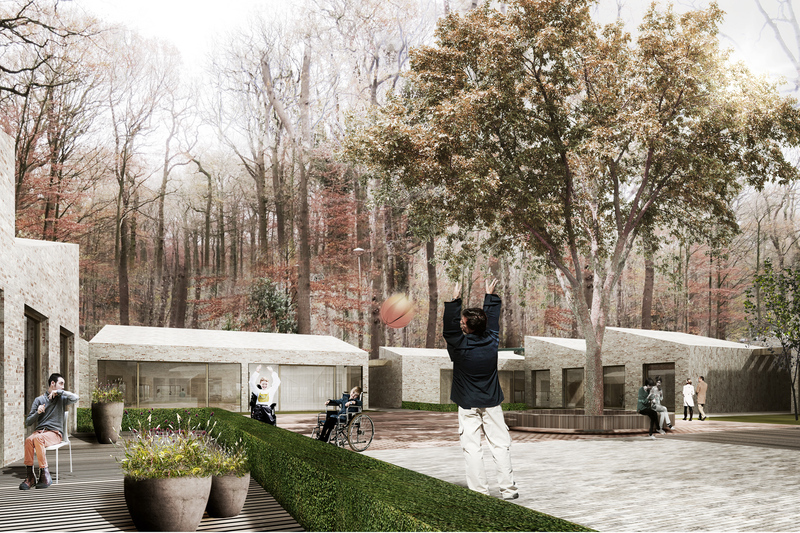 The hedge provides a clear separation between the publicly accessible site and the domain of homes and residents. From inside the cluster opens outwards. Each house has its own entrance to the landscape. The common square of each cluster is connected with the infrastructure ring road.